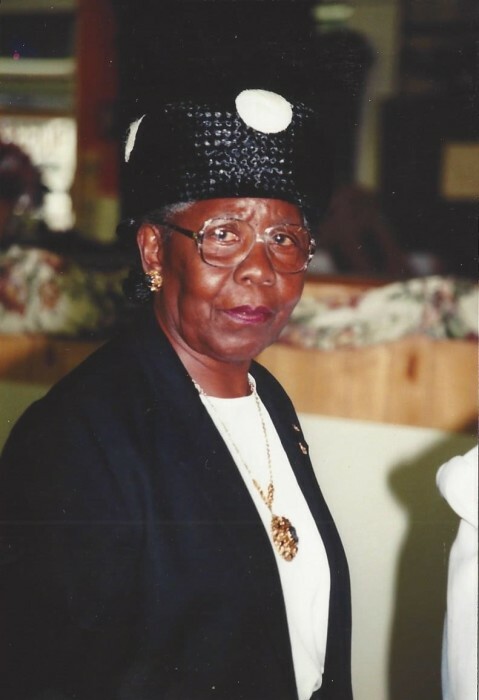 Obituary for Willie W. (Blackmon) Bouiye | Newman Mortuary, Inc.
OZARK..... Willie W. Bouiye passed away Thursday November, 22nd at Oakview Manor in Ozark, Al, she was 96. Visitation will be held at the Newman Mortuary Chapel from 12pm until 1pm Monday November 26th. Graveside Service will be held on Monday November 26th at 1pm at Ozark City Cemetery located on Cemetery Street in Ozark, Al. In lew of flowers the family wishes donations be made to 1st Missionary Baptist Church in Ozark. Willie Wyneather Bouiye was born on March 25, 1922 to late Callie and William Blackmon. She departed this life on November 22, 2018 after an extended illness. She was married to the late Joseph Brooks and late Alvin Bouiye and no children were born to these unions. She accepted Christ at a very young age and she developed a deep faith in the power of prayer. She was a faithful, lifelong member of First Missionary Baptist Church in Ozark, AL where she served as a Sunday School teacher, a member of the Matrons missionary group, and a member of the Senior Choir for many years. She graduated from D.A. Smith High School and immediately entered the workforce, holding several positions at Ft. Rucker and around Ozark. She often invited visitors to join her on “the do-nothing porch” where she would engage her guests in spirited conversations—many about the goodness of God. She was a very creative and skilled crafter, seamstress, gardener and baker who generously shared the fruit of those skills with her family and friends. She leaves to mourn one nephew (John L. Smith), two grand nieces (Kathy Cannon & Wynetta Lee), one grand nephew (Stanley Coleman), one great grand nephew (Aaron Cannon) and a host of extended family and friends.